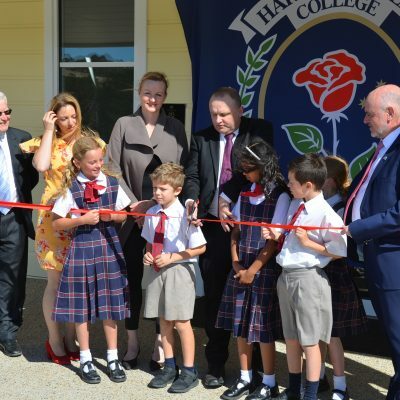 What a beautiful afternoon we had on Monday 18 March as we officially opened the first permanent building at Harkaway Hills College. A big thank you to all the parents and friends who stayed back to attend this historic event, as well as to the team who worked so hard behind the scenes to put on such a lovely afternoon. The students performed beautifully as we were treated to a whole school performance as well as two songs by the Harkaway Hills College choir. Thank you to Mrs Chavez for preparing the students so well. A special thanks must also go to our teachers who stayed back to supervise the students during the event, allowing the afternoon to run so smoothly. A note of thanks also to the official representatives at the event: Jason Wood MP, Councillor Rosalie Crestani, Kevin Bailey AM, Fr Tomas Gibson, members of the PARED Victoria Board, as well as to our Master of Ceremonies Patrick Coyne. We are so lucky to have such a generous and supportive team behind us. 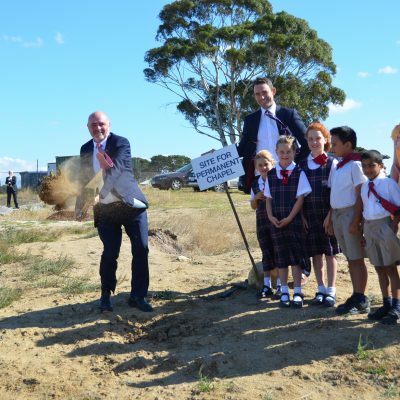 Following the official opening, long term donor and supporter Kevin Bailey conducted the first dig marking the start of the next phase of development, which will include an Administration Building and a Chapel. This development will take place through the rest of 2019. Please note we are still raising funds for the Chapel, so we ask you to please get behind our fundraising efforts throughout the year. If anyone would like to make a private donation, please contact Damien Burger. Our 5-week intensive coding course run by SCOPE-IT Education has come to a close for Term 1. 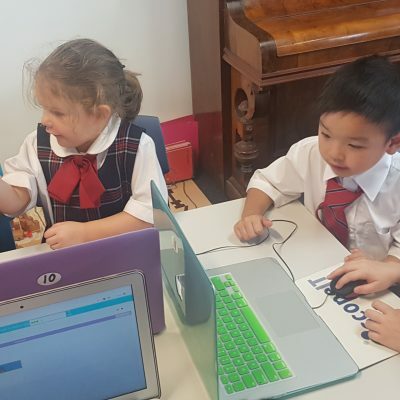 Students from Prep to Year 4 have been able to create new algorithms and solve problems using the language of coding throughout the program. Coding classes will continue late in Term 2 to consolidate student understanding, and we will then move onto electronics and robotics in Semester 2.